Why the Quest for Good Credit is Difficult? We’ve said it over and over. No bank, collector, or credit bureau is going to be excited about your efforts to improve your credit. The credit system is designed to work against you, the consumer and your quest for good credit. In our pursuit to educate consumers about the Credit Repair Conspiracy, we will talk about how banks and credit bureaus try to hold consumers with bad credit down. In this article, we’re going to talk a little about how the apathy of the banks, credit bureaus, and bill collectors plays out with regards to the law. Here are the THREE ways that these companies violate federal law in the regular course of business. Law Violation #1: Failing to fulfill their Fair Collection Reporting Act (FCRA) requirements for the investigation of consumer disputes. This is probably one of the most common law violations and it is applicable for credit bureaus, creditors, and even collectors. • The furnisher is supposed to investigate consumer disputes and cease reporting of information which they have reason to believe is inaccurate. In each of these cases, consumers have often found themselves frustrated by failure after failure on the part of the credit bureaus, collectors, and banks. Direct disputes to furnishers are often ignored or not handled properly. Disputes to the bureaus aren’t really investigated. Instead of sending “all relevant information” with regards to a consumer dispute, the bureau sends a numeric code that may or may not categorize the dispute correctly. For every dispute that is received by a credit bureau, creditor, or collector, there is a high likelihood that the FCRA is being violated somewhere along the way. Law Violation #2: Failing to ensure the accuracy of data. Collectors and creditors are required to report accurate data. If they have reason to believe data they have reported is inaccurate, they must notify the bureau and either correct the reporting or cease reporting the inaccurate data. In spite of the requirements of the law, furnishers and the credit bureaus frequently fail in their responsibilities to insure the accuracy of the data being reported. Some creditors purposely omit information in order to hurt consumer’s credit; even when they’ve been notified of errors, it can seem virtually impossible to get a furnisher or a credit bureau to correct a problem. Collectors frequently fail to report collection accounts correctly. The accounts end up with strange attributes in the credit report listing that wouldn’t normally be on a collection account. Law Violation #3: Abusing the consumer. We don’t know how else to say it, whether it’s a creditor, a collector, or a credit bureau, the story is the same: the consumer frequently gets taken advantage of repeatedly. Consumers get ignored, mistreated, pushed around, intimidated, threatened, and are even retaliated against by the companies that make up the credit system. The FCRA, FCBA and FDCPA provide some protections for consumers, but they don’t keep the credit bureaus, collectors, and banks from violating those laws and walking all over any consumer who will let them. Collectors are, of course, the most notorious of consumer abusers. Reading through the FDCPA will give you a good list of tactics that collectors frequently use. They’re illegal, of course, but that doesn’t seem to deter the collection agencies from using them. Whether you are dealing with a bank, a credit bureau, or a collector, there is a high likelihood that you’re going to encounter various violations of federal and state laws along the way. Because of this, it’s important to be vigilant and know the laws that are designed to protect you. The better equipped you are, the better off you’ll be. 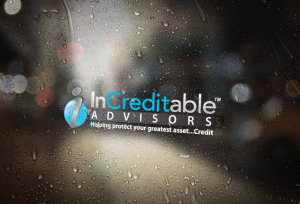 To learn more about protecting your greatest asset…Credit. Call InCreditable Advisors today and schedule your free credit evaluation at 317.837.4969.